We put personal back into Personal Injury Law. "I was referred to Joel Hudson by a co-worker when I had asked him for a referral for a good attorney to represent me due to an auto accident. What I found was the very best attorney I had ever dealt with in my life. Joel was very attentive, personable, and always treated my situation..."
"My wife and I used Hudson Law Firm to represent us in an auto accident. Joel did the best job of representing us. We received a great settlement. I would say the Hudson Law Firm is the best in north Texas." "Caring Attorney who knows his stuff! I retained Joel for my car accident because when we first met I got the impression that he would give my case personal attention versus having a legal assistant do all of the work. He kept true to his word and we settled my case in the time frame we discussed..."
"Great Lawyer that cares about you! I called Joel Hudson after I was hurt in a car accident. He was very concerned wanting to know what happened. He gave me his recommendation of actions he wanted to implement right away then he explained to me what was going to..."
"I was in a car accident last year and I initially tried to work with the car insurance people myself. Let me just say, they are trained to give you the lowest possible number and they don't care about you or your rights. I realized after a few months that I needed help so I went with Joel Hudson..."
"Joel Hudson will fight for you. After catching my foot in a hole in a sidewalk and injuring myself badly, I figured I had a 50/50 chance of receiving anything. I was referred to Hudson Law Firm and decided it was worth a call. I am now so glad I made that call. Thankfully, from the settlement..."
"I am posting this review because if anybody deserves a good review, it is this attorney - Joel Hudson. We, actually my wife, sustained a severe injury and landed in the emergency room because of the negligence of our corporate-owned apartment complex. I was referred to Joel Hudson of the Hudson..."
"I was the passenger in a car accident that was not the fault of the driver of the car I was in and I was referred to Joel Hudson by a family member. He is prompt, personal and professional. Anytime I had a question, he was courteous and knowledgeable. He puts the PERSONAL back into..."
"Joel is a fantastic personal injury attorney. He gets great results for his clients, and he truly cares about them. A winning combination! I would recommend him to all of my friends, family and clients." "After my auto accident, I wasn’t sure what to do. From the moment I contacted Mr. Hudson he stepped in and took control of my claim. Thanks to him, my claim was settled quickly, and I have been able to recover from my car accident with proper care and peace of mind. I have utilized..."
"I am beyond impressed with the service provided by the good folks at Hudson Law Firm. Everyone I've dealt with has been exceptionally honest, empathetic, and knowledgeable. I came to Joel after sustaining an injury from an accident at a grocery store, and from day one Mr. Hudson and..."
"Joel Hudson did an outstanding job representing me in obtaining a settlement for an automobile accident in which I was a passenger. He handled all of the communication and paperwork with the insurance companies, healthcare professionals and creditors. 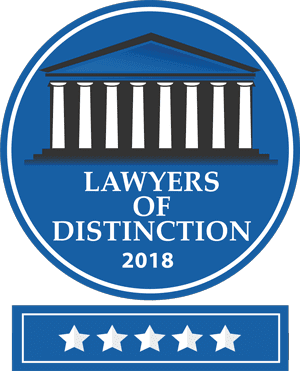 I would recommend..."
"I would recommend Joel Hudson to anyone pursuing a favorable personal injury settlement. He helped me every step of the way along with his staff in dealing with insurance companies, creditors and hospitals. He helped me in a time of need when I was beginning to lose hope in the..."
"One night when walking my dog, I stepped on one of many nails that had not been properly picked up after a roof replacement on a building in my apartment complex. The nail went through the bottom of my shoe and cut the big toe on my right foot almost down to the bone, which was..."
"Mr. Hudson completely exceeded our expectations. I got in a very bad car accident in July of 2014. Fortunately, I was not at fault. When I presented our case to Mr. Hudson I felt extremely comfortable. He assured us, that my wife and I would both be very satisfied at the end. We had..."
"I highly recommend the Hudson Law Firm. Joel and his staff offer prompt, personal, and professional services. They take care of their clients and most of all they care!" "I happen to approach Joel Hudson to deal with my accident claim with 3rd party Insurance few months back. He was very helpful in dealing on behalf of me and took care of everything in a very professional manner. He was able to help me recover all my medical costs and pain and suffering..."
"First, I would like to start off by saying that Joel Hudson by far exceeded my expectations while he was representing me during my personal injury. Months ago I was in a car accident that was not my fault, and I was unable to work for a while. Mr. Hudson went so far out of his way..."
"My wife found Joel online after my car accident. We felt that Hudson Law Firm was the right choice because of all of the positive reviews. Our choice was a good one. He handled our case in a very professional manner, and was careful to explain each step in the process. I received a sizeable..."
"I found Joel Hudson law firm online after my car accident. After reading some of the reviews posted for both his firm and another I knew selecting Mr. Hudson to represent me was the right choice. Mr. Hudson and his staff immediately got working to secure me the assistance I needed..."
"Joel Hudson did an amazing job with my personal injury case when I was involved in a major car accident at which I was not at fault. From beginning to end, him and his staff were amazing and very helpful in all steps related to taking care of the case, obtaining the proper care for my..."
"Being in an automobile accident can be a life altering experience. What you might not know is that it absolutely necessary to have an attorney handle your claim. After my accident involving a very negligent driver, an off duty police officer as a witness and the driver admitting his..."
We put PERSONAL back into personal injury law. We believe there is a better way to handle personal injury claims. We believe personal attention and continual client communication gives our clients the best chance at the results they deserve and provides for a more efficient recovery process. Unlike in many large, run-of-the-mill law factories, we believe in only handling a select number of car accident and injury claims each year so we can be sure to treat you like a person, not a number. We understand and care that you are injured. That is why you will be treated with respect and responsiveness, not delay and inattention. In many firms, your car accident claim will be handled merely by a legal secretary. With our firm, you will receive all the expertise and resources you expect from a large firm, while working closely with a senior attorney and senior paralegal that can purposely provide you the personal attention you deserve for the best possible representation for your auto accident or other injury claim. We believe the personal attention from our experienced injury firm and continuous contact with our clients is the main reason we are able to avoid litigation in most claims. We focus on the PERSONAL in personal injury law because you deserve to be treated like a person. We take our relationship with you and your case personally. We know injury interrupts your entire life and that of your family, as well. Thus, we help you with all the things that happen when you have a personal injury to help you get your life back as soon as possible. While we are constantly counseling to maximize your gain, your personal interests take priority over the firm’s interest. Many times, personal injury is not just about the money. We are the PERSONAL, personal injury law firm. We fully understand that our clients are the lifeblood of our continued success. We believe in making our clients happy so they will continue to refer their friends, co-workers, and family members to us. We have found that caring for the needs of our clients not only makes them happier, but also continual client communication leads to a more efficient and more successful claim recovery. We want to be continually informed about your treatment for painful injuries, your limitations in life due to someone else’s negligence, your lost wages, your disfigurement or permanent scarring, your permanent impairment, your pain and suffering in the past and future, etc. All of this information is vital to a successful negotiation of your car wreck or other personal injury claim. We take pride in keeping our clients informed of all claim strategies and developments. We also take the time to explain every aspect of your claim in words that you can understand, not just legalese. You will receive a copy of every document produced or attained in the handling of your auto accident claim. We also take pride in the fact that when you call with a legal question or treatment update, we will take your call. In the rare instance that your issue cannot be addressed immediately, we will return your call promptly the same day. We invite you to discover more about our Carrollton auto accident attorney, meet Joel Hudson. If you have been injured or have lost a loved one in an auto accident or by the carelessness of another, let our Carrollton accident lawyer help. Contact Hudson Law Firm now to discuss your accident injury claim at no cost before you make a permanent, costly mistake. WE DO NOT GET PAID UNTIL WE RECOVER MONEY FOR YOU. WE PUT PERSONAL BACK INTO PERSONAL INJURY LAW℠ All rights reserved.